1. Ticket to the Radio City Christmas Spectacular: we had GREAT seats. I was curious what the seats would be for this price but they were excellent. All of the American Girl seats (the night we went) were in Orchestra center or Orchestra L or R but along the aisle, so near the center. Also, keep in mind that these tickets, for this price are for an evening performance which is awesome. 2. Private Meet and Greet with the Rockettes: This was AMAZING. This was not where you stand in line and get a quick photo with a Rockette. 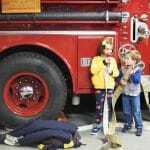 This was a private experience just for those with the American Girl package. We were escorted up an elevator to a back room where 2 of the Rockettes were hanging out ready to chat with the girls and take photos. It was relaxed, and just us and 1 other family when we went in. My girls got to ask them lots of questions and it was SUCH a special part of the night. 3. Popcorn and Drink: We were also given a ticket from American Girl to go up to the snack bar to get a big box of popcorn and drink of our choice. If you have been to a show in NYC before, you know how much that would have cost for 3 of us! 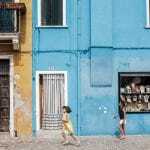 Adorable blue dresses throughout the post: Little English. 4. 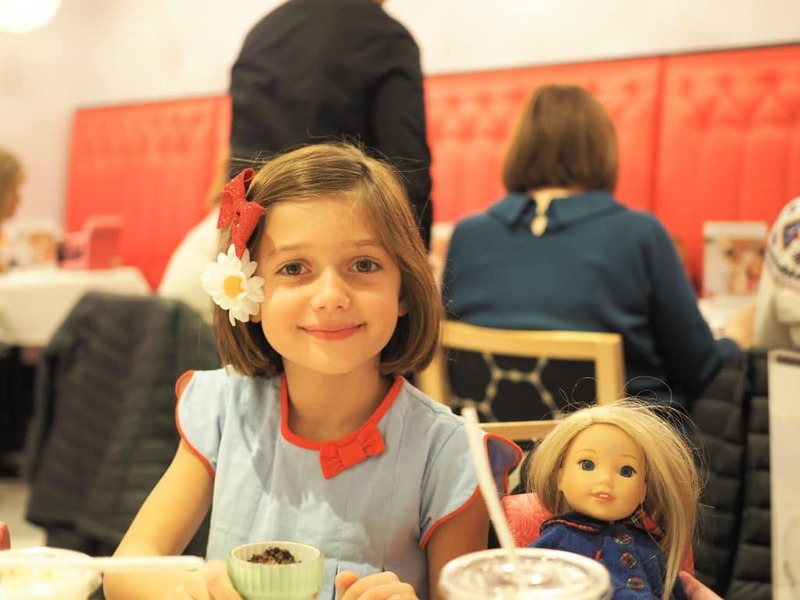 Dinner at American Girl: After the show is over, you walk over to American Girl which is located right down the street in Rockefeller Plaza. You head down to the Cafe where dinner is included. If you have eaten at American Girl Cafe before or know anything about it, this is an amazing deal. The dinner included: drinks, a choice between 2 appetizers, about 5 choices for kids for dinner and about 5 for adults. Then it also included dessert. It was a great post show meal! 5. Gift Bag from American Girl: When we arrived at dinner, each guest had a gift bag on their chair from American Girl that included a magazine, a really fun journal and a shirt for the dolls. ALSO many people asked me – did this mean you had to drag a doll around the city and to the show? No. My girls did BUT I realized at the Cafe, there were plenty of dolls to “borrow” for the meal so they would still get a doll/ doll chair to sit next to them while they ate. 6. 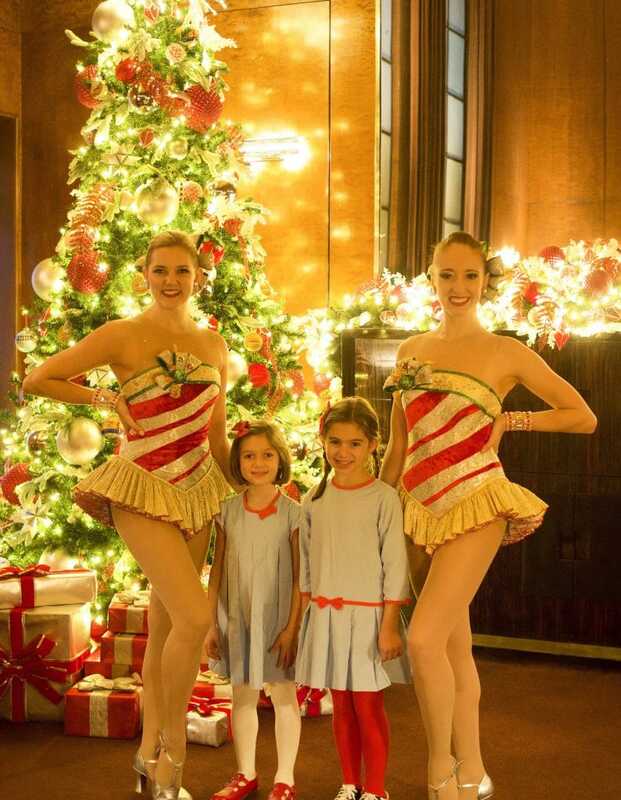 Guidance and Ease: In addition to all of the things above that make the American Girl at Radio City’s Christmas Spectacular a great deal for a fun holiday experience, I want to add “guidance and ease” to a major bonus of the package. I have been going into NYC since I was a little kid and still get a little overwhelmed heading in at the holidays: it’s very busy and crowded. 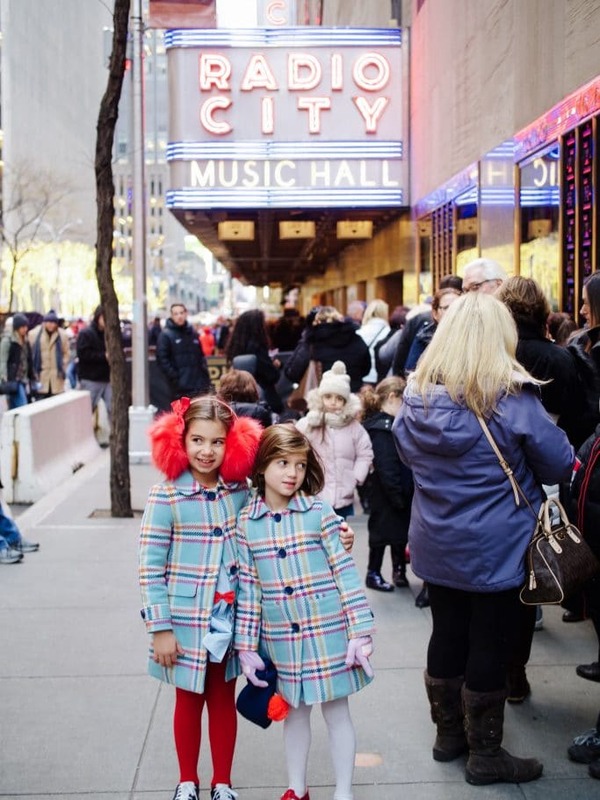 For people traveling to NYC for the first time, the Radio City Christmas Spectacular is a must but also a little hectic. With the American Girl package: you arrive in the area and easily can find the big pink sign that says American Girl. Here someone greets you and hands you your tickets, explains the day, where everything is etc. Worried you won’t find them? They give you their personal cell phone numbers. You stand in a separate line with JUST the few families doing the American Girl package that night and enter the theater with this small group. 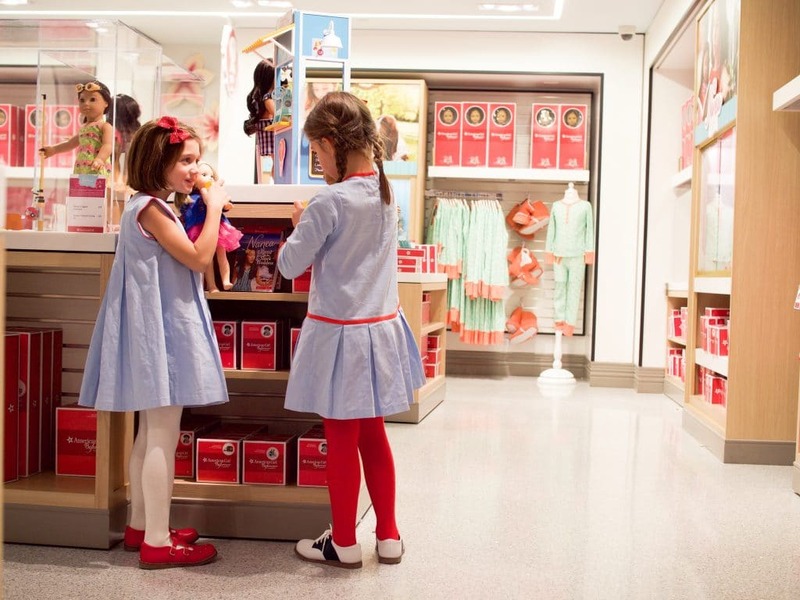 Then inside the American Girl guides help you upstairs to meet the Rockettes and direct you to where the American Girl Store/Cafe are after. It was so easy. Plus, knowing exactly where you are going to eat after the show, where someone else already made your reservation AND you don’t even have to worry about the cost because it’s already included: priceless in NYC at the holidays. 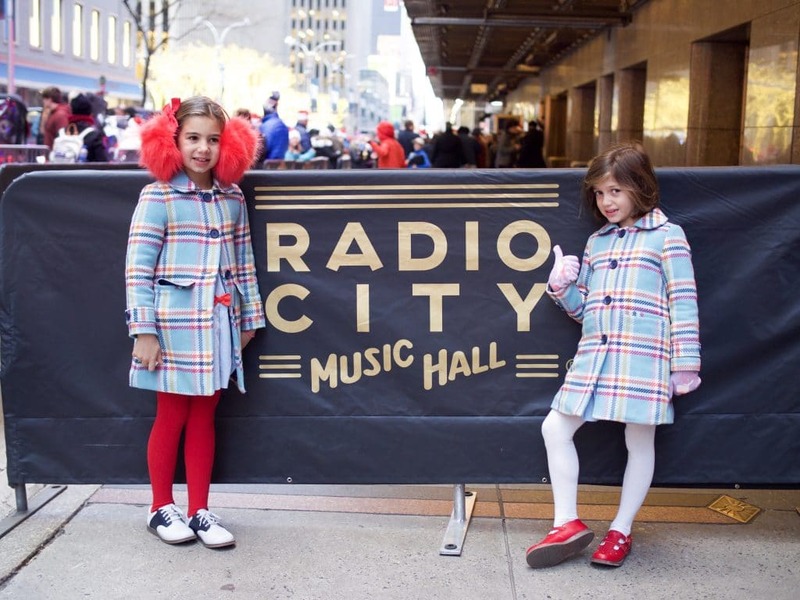 The dates left for the American Girl at Radio City’s Christmas Spectacular, this year are December 3, 10, 12, and 19th. For more info, click here. 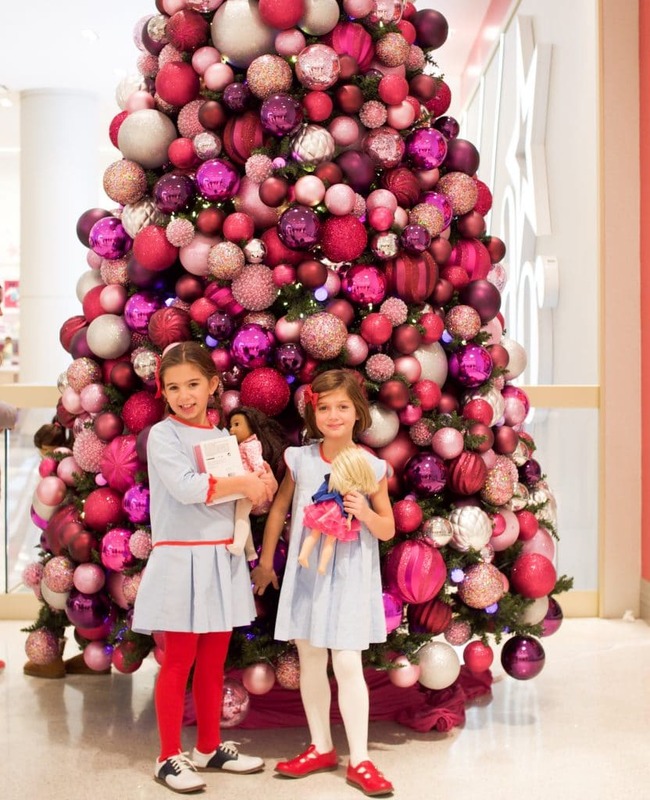 There are many more awesome holiday events at American Girl this season. 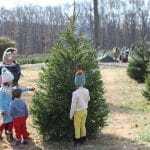 There is cookie decorating, visits with Santa and more. 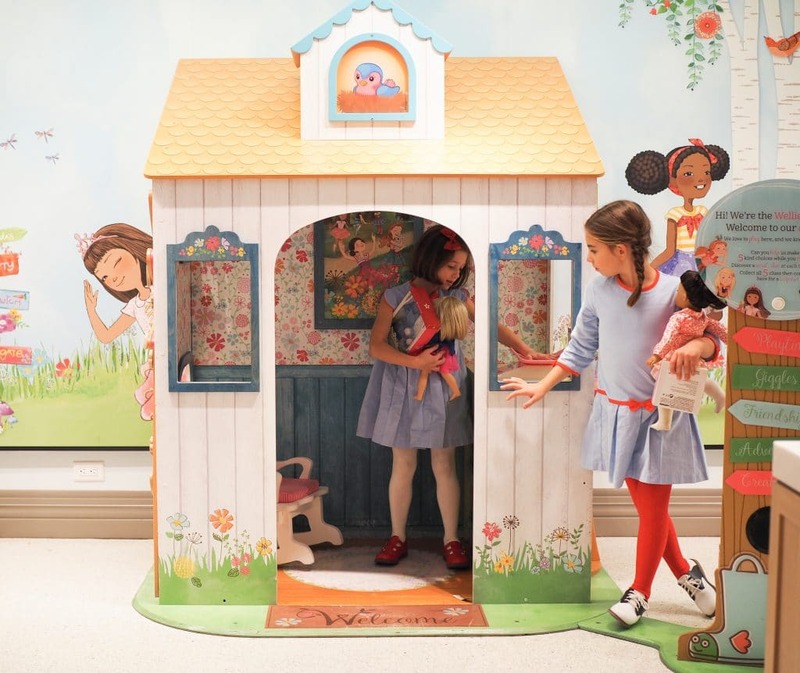 Click here for a complete list of events at American Girl NYC this holiday season: American Girl NYC Events. I wish we had time to check out more of them! Disclosure: This review is part of an ongoing partnership with American Girl. It’s a brand I have enjoyed since I was a child and a brand I am happy to share. We are not compensated for the posts but do sometimes receive items for the purpose of review. As always all opinions are my own.